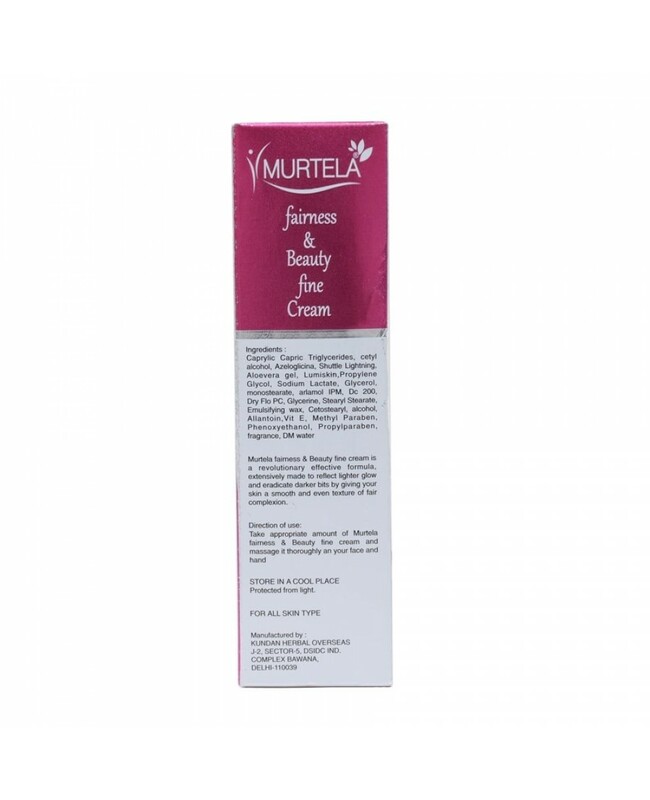 Boost your skin radiance with Murtela Fairness and Beauty fine cream. 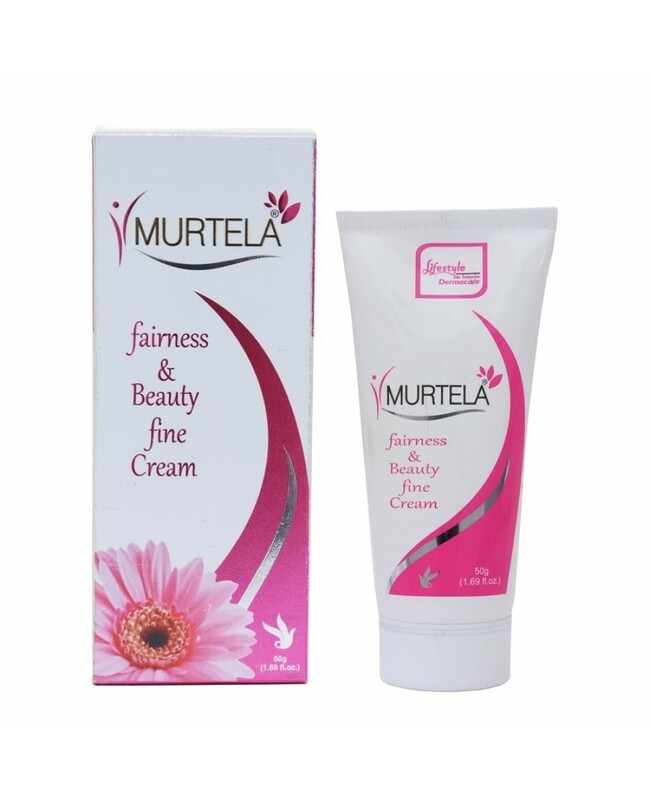 Also maintain the intense white radiance with Murtela Fairness and Beauty Fine Cream. Also Remove freckles, hyperpigmentation, Melesma, Dark & age spots. Caprylic Capric Triglycerides, Cetyl Alcohol, Azeloglicina, Shuttle Lightening, Aloevera Gel , Lumiskin, Propylene, Glycerol, monostearate, arlamol ipm, dc 200 dry flo pc, glycerine, stearyl Stearate, Emulsifiying Wax, Cetostearyl, Alcohol, Allantion, Vit E, Methyl Paraben, Phenoxyethanol, Propylparaben, Fragrance, DM Water.